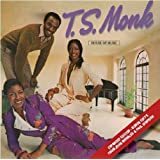 Smooth soul from the one and only Theolonious Monk. Apart from having an awesome name he was responsible for many solid grooves from the 80s and beyond. This is one of them.